Worked well but was lost during first month. Give it 2 paws up ! works perfectly for my cat. A bit upset and confused. The only product we will use! Bought 3, wasted my money, doesn't work at all. Purchased Seresto in November 2013 and it doesn't work. 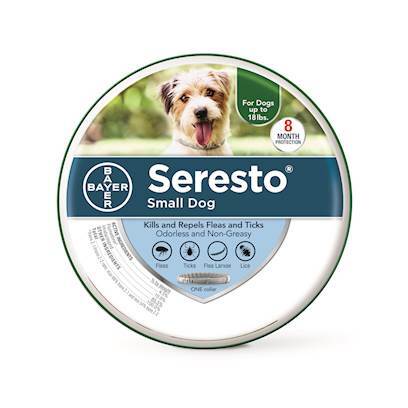 Excellent new product that works on ticks and fleas. The product didn't work for my dog. please read and buy !! Best flea product I've ever purchased. This is a Great product , but it could be an even better one!! 8 months of protection with one collar- fantastic!